1. Don’t be competitive — with yourself or with others. Nobody likes a self righteous jerk, especially when it comes to body issues, and if you make yourself your worst enemy, then who will be left? Don’t focus too much on always besting previous measurements or you’ll drive yourself insane with angst. Remember that the body has natural cycles! 2. Take it easy — slow and steady integration of the corset into your lifestyle will make it more likely to be a long term fixture, as opposed to a temporary obsession. Easing into tight lacing slowly will be much better for the lifeline of the garment as well. In the beginning of your training, wear the corset for a couple hours, not very tight, and increase gradually from there. Think to yourself: I have all the time in the world. The body accepts change much more gracefully when it’s relaxed, so stressing overlacing in the beginning will only do more harm than good — to both your body and the garment. 3. Take it off — I understand that there are people out there who love their corsets so much, they never want to part with them, even to sleep, but there are at least two daily occasions in which you absolutely must remove your corset: to shower, and to exercise. Yes, if one wears a corset everyday, think about it: it creates a midsection encased and supported in steel. Conditioning the core muscle group is necessary, lest it begin to atrophy over time. Though her extreme figure is lovely, I wouldn’t want to wind up as frail as this young lady, would you? 4. Be patient. Everybody’s different, and every body is different. Progress of reshaping the body with waist training is highly dependent on: core density of the individual, distance between the top of the pelvic bone and the rib cage, flexibility of the cartilage, quality and shape of the garments used, and consistency of wear. However, one might expect to train for six months before noticing any difference without a corset, in many cases more. Be patient with yourself and realize that non-surgical body modifications are a serious time commitment. Ask yourself: am I in it for the long-haul? 5. Prepare for attention. Whether you wear it loud and proud or layer it under clothes in a manner you think is stealth, it’s likely that at some point, you will be approached and point blank confronted about your corset. Sometimes friendly, sometimes sleazy, sometimes envious, and sometimes indignant — I’m sure I have not yet heard it all. My advice is to put your best foot forward and show ’em what a real lady is like. To me, that is curt, polite, and no nonsense. A question to prepare for is: “Why do you wear a corset?” Whether you choose to answer the inquirer is your choice, but it’s an answer to a commonly asked question worth articulating in your mind, anyway. 6. Be discerning. The corset creates proportions and curves which awaken certain… instinctual desires in some. If you work in a professional environment, be careful to protect yourself against untoward advances, and be sure to make it clear when they are unwanted. Refresh yourself on harassment policies and collect evidence when you can. Harassment is terrible to bear, but difficult to prove. 7. Vodka water. A great way to freshen up your garments without investing the time and money in dry cleaning is to give them a quick mist with vodka-water (50/50) in a spray bottle! I wouldn’t recommend wetting silk, but cotton, or cotton-poly lining responds wonderfully to this treatment. Great for ridding of body odor, deodorant stains, or sweatiness. Make sure to let air dry completely (hang over a chair or a shower curtain rod, for example) before wearing or storing. If your corset is leather, Lexol is a good brand of leather conditioner. 8. Invest in quality garments. As I mentioned earlier, one’s progress is in part determined by the quality, fit, and curvature of the corset applied. Corsets shaped like flared tubes: ) ( will only make one look tubular and not closer to attaining the coveted hourglass figure. Search for a well constructed under bust garment that fits well –in that it applies pressure evenly over the entirety of the torso, as opposed to rubbing or flaring at the ribs or the hips — that nips in at the waist. The goal of waist training is waist reduction, after all. 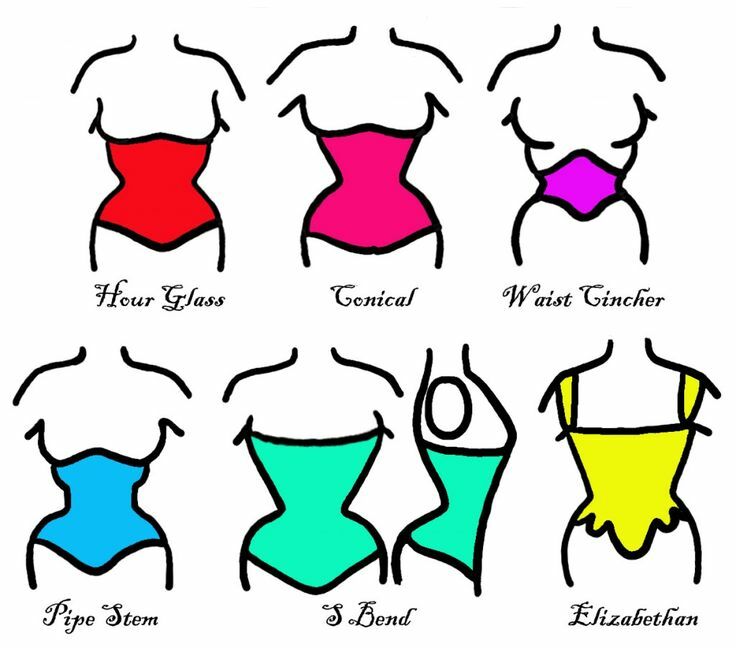 Here is a great resource: What (you didn’t know) to look for in a corset, written by Marianne, my peer — who is often times more successful with words and things. Highly recommend! 9. Develop a corset wardrobe. As Sparklewren put it on an Etsy listing: all regular-wear items sustain wear-and-tear eventually. In the Victorian era, if a corset lasted a year this was considered a wonderful selling point. Treat your corset well, and understand that as an item of use it will not remain pristine forever. True fact. While we wish for our lovely investments to last forever, the simple fact is that a garment is simply a mere network of fibers, and under constant stress, can’t. However, we can extend the lifeline of our corsets by giving those networks of fibers and seams a break by alternating wear. If you sleep in your corset, its a good practice to have a sleeper corset in a larger, broken in size (your first corset, perhaps). If you are primarily a day-wearer, having a variety of sizes, styles, and waist curves is a great way to extend the life of your garments and always have something you want to wear. 10. Enjoy the ride. Corset training truly is about the love of the journey. Remember above all else to listen to your body, have fun, and be good to yourself!